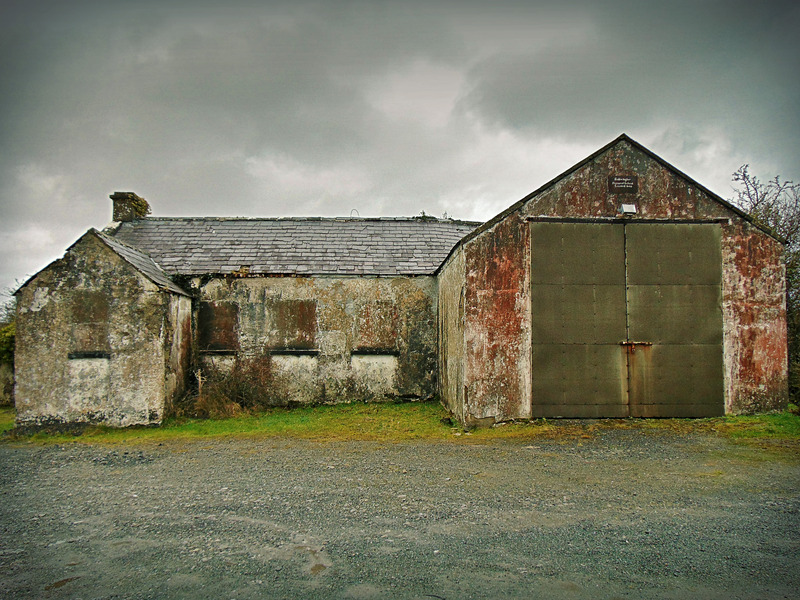 This school house is situated in the townland of Tiratick in the parish of Ballintogher in rural Co. Sligo – just northwest of the village of Balllintogher. 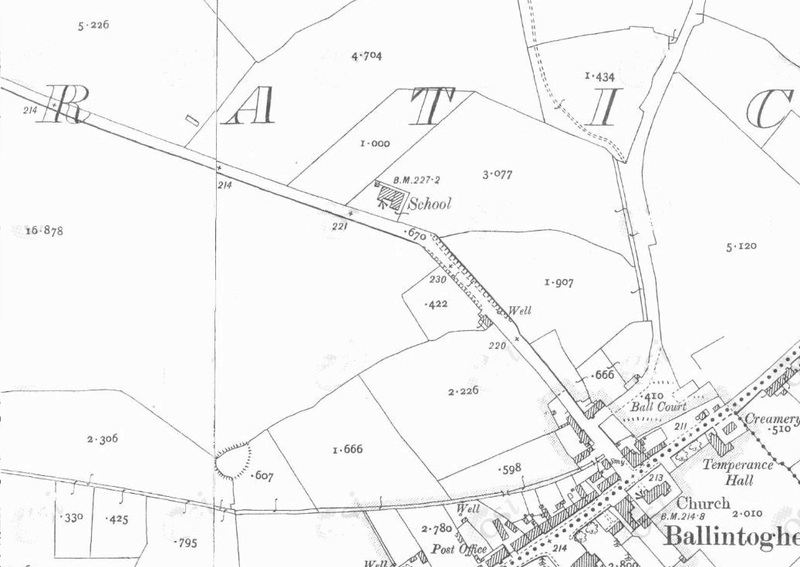 The building dates to the 1840s and served the village, though the First Edition Ordnance Survey sheet for the area which dates to the late 1830s, shows an earlier school house marked just to the southwest of Ballintogher village. Sadly the 1840s school house is in a poor condition today, having been crudely converted into a shed. In the nearby village there are two town houses of mid-to-late 19th century date listed as protected structures. 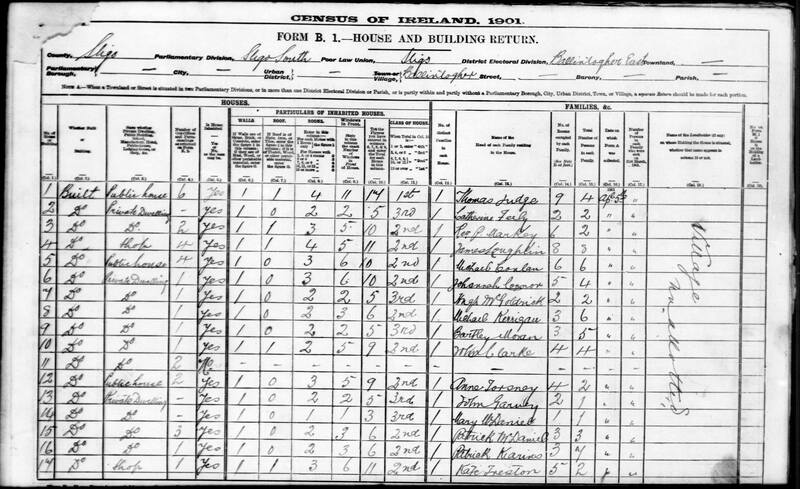 At the time of the 1901 census in Ireland, some 41 families lived in Ballintogher, and village included 3 public houses and a shop. The Second Edition Ordnance Survey sheet dating to the late 19th century shows a creamery, post-office, ball court and Temperance hall in the village. A railway line, the Sligo, Leitrim and Northern Counties Railway, which was constructed in the 1870s ran near the village. This railway linked Sligo town with Enniskillen and was in operation until 1957. Like so many rural villages and towns in Ireland during the 19th and early 20th century, school houses along with buildings such as the local church and public houses were at the centre of rural Irish lifeways. They were an intrinsic part of the social fabric of Irish rural life which nearly every member of a community was familiar with. This very dilapidated building is an example of the type of mid-nineteenth century school building once found in many small towns and rural communities. Of compact design it utilises high-quality building materials, such as natural slate and stone verges. The carved stone date plaque acts as a reminder of the social function it once served within the local community. The building comprises a detached five-bay single-storey rendered school house, built c.1840, with asymmetrical projecting gable-fronted bays to east and west of south elevation.Today it is used as storage facility. It has a pitched slate roof with clay ridge tiles and unpainted smooth-rendered corbelled chimneystacks at the gables with stone verge copings. The limestone date plaque to gable above carriage-opening shows the date of construction.